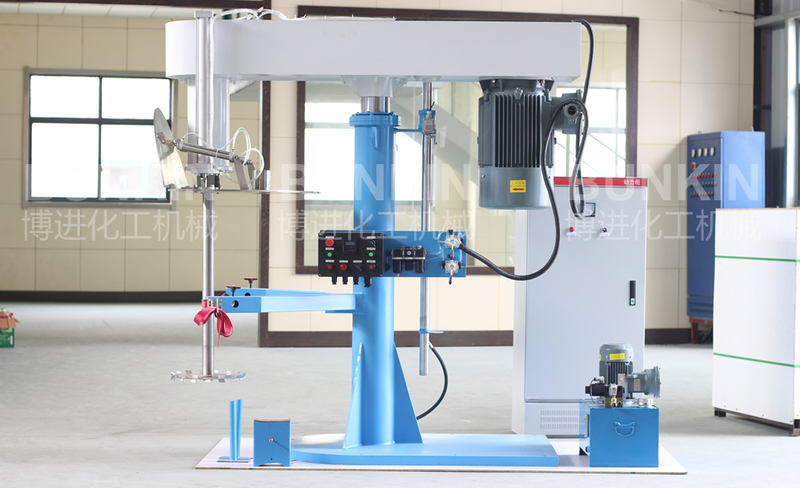 Disperser with Lifting Cover_Anhui Bunkin Chemical Machinery Co.,LTD. 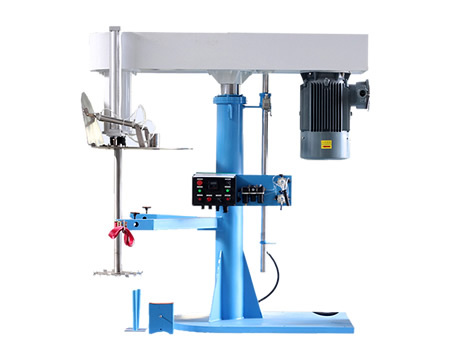 High-speed Disperser with lifting cover is a functional product developed based on the standard Hydraulic High-speed Disperser. Its unique lifting cover structure can prevent material splash and reduce the solvent volatilization effectively. The designed flat cover is applicable for containers with different size and shape. Controlling the independent lifting of the cover through the air cylinder or sheath structure is convenient and easy. Also the cover can be designed to be with small half lid fixed with hinges, easy to open. And it is interlocked with the valve of the port connecting with the dust collector to realize dust-free materials charging and view the production situation at any time. Through the high speed rotation of the disc. The materials flow in annular form flow, resulting in strong vortex flow, which descend down to the bottom of the vortex in spiral state. During the process, materials are dispersed, dissolved, mixed and emulsified efficiently due to the strong shearing crash and friction among the particles. Stainless steel cover can be lift up and down independently to ensure it always close with the tank. 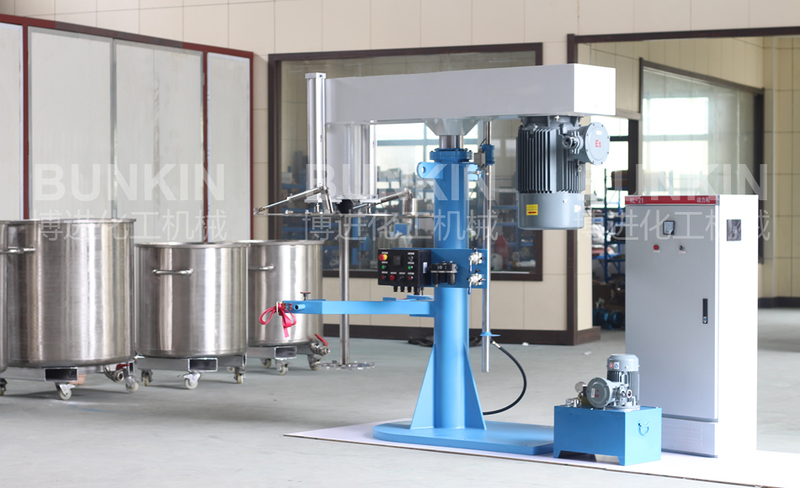 Application Industry: Applicable for dispersing and mixing materials in industries such as biology, medicine, food, dye, coating, ink, adhesives, pesticides and etc.